Many people have received telephone calls, recorded messages and e-mails from scammers claiming to be from organisations such as the ATO, Australia Post and Telstra saying money is owed, asking for personal information or access to their computer. One recorded message supposedly from the ATO informs you ‘you have committed tax fraud and a warrant is out for your arrest’! Another very popular scam is to say that there is a problem with your internet or a security flaw in your computer’s firewall or similar. Unfortunately, the main reason is the person receiving the call or e-mail. Scammers are trained in looking for signs of hesitancy or weakness and when they sense this they are merciless. The real problem is that the scammers know well the topics that will attract or scare people into action: monies owed, a big win, a technical issue, or to help someone. 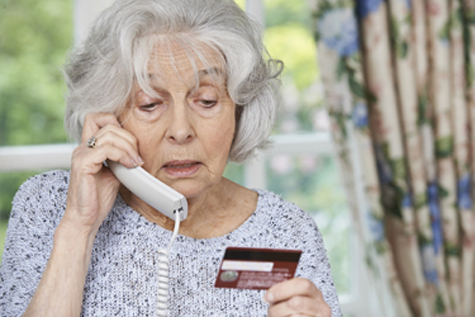 Scammers are paid based on their success and they are highly trained in keeping people engaged and on the line. You need to be strong if you’re to avoid being caught out and the simplest way to do this is ask who they work for, what is their phone number, say you’re not interested and hang up. Or, call them out and say they are ‘a scam call’, then they often hang up on you. Phone scammers are inventive and some are ‘Phone spoofing’, this is when someone disguises the number they are calling or texting from by changing their caller ID. They hijack or imitate phone numbers, either to imitate a person, business or department to get money or information. They often choose interstate numbers so you do not immediately know you are answering an overseas call centre or potential scam call. The best strategy though, is not to let them talk for more than a few seconds, and hang up. Hang up too soon or and they will keep ringing you back! Major organisations will never ring up and ask for access to your computer or threaten that a warrant is out for your arrest. If a demand is made that relates to the ATO then call your accountant to make sure if ATO debts are owed and when. Common scam emails currently doing the rounds are invoices from companies that either do not exist or scam emails from organisations like ‘Australia Post’ (you have a package being delivered) or ‘ASIC’ (you have a tax debt). We may suspect they are fraudulent but too many of us still respond. The compulsion to open that invoice or attachment is strong. Remember, everyone's e-mail address may be on scammers' lists so you will be exposed. A second, and dangerous risk, from such e-mails is that they can have infected attachments and links that can do real damage to you, your computer, your business’s computer network and your files. Ransom ware is still out there. Three things that help with scam, spam and malicious e-mails. Simply delete them but some businesses and corporations use e-mail to save costs for statements and invoices and other information, so you have to be vigilant not to delete these by mistake. This is your best defence and relates to the sender’s e-mail address. It is NOT possible for a scammer to use the exact same domain name as, say, the ATO or AFP. HOWEVER, they are getting very close. When you receive an e-mail, ALWAYS check the URL address it came from before reading or clicking - specifically the part after the @ sign. You will notice that many after the @ sign are simply ridiculous, but you will also receive some that have the supposed sender in the address, for example @ato.zzz.net.au. Always remember that the ATO bit is part of the zzz.net.au domain (the spammer) and NOT the ATO's domain. If in doubt contact the business or organisation by phone or a known email address to confirm email content. The Subject line. There is a field of marketing that focuses on how to get people to react to a Subject line. So, reacting quickly to a subject line about a fine from the ATO is exactly what the scammer is hoping for. A subject line like this can make you click on part of the content or attachment before you think of reading or checking the sender’s address. AcctWeb, an ISP and domain hosting company for over 20 years. The accounting practice which has evolved into MJA Accounting was established in 1949. The business has grown from a small sole practitioner firm to a five partner practice which currently employs 25 staff in our two offices in Leongatha and Korumburra. We’re a team of accounting and taxation professionals that are dedicated to helping our clients with high quality services in a professional, easy to understand, friendly manner. Copyright © 2019 MJA Accounting Pty Ltd. All rights reserved.